New York, October 10 (SPS) - Delegation formed by representatives of various Spanish Institutions and Organizations participates in the debates of the Commission for Special Policy and Decolonization (IV Commission) of the UN has defended the right to self-determination of the Saharawi people and denounced the stagnation of the Peace Plan, as a consequence of the permanent obstruction of Morocco to its development. 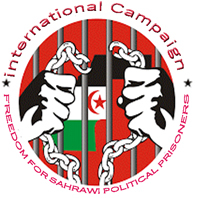 The dejegation will slam the Moroccan government brutal repression against the Saharawi population in Western Sahara, illegally occupied by Morocco and the treatment given to the Saharawi political prisoners and Sahrawi activists who are being subjected to all kinds of harassment, ill-treatment and torture. it will also denounce the decrease in humanitarian aid to the Saharawi refugee population camps, which is causing a dramatic situation, with unpredictable consequences. During it presence in New York, the delegation will take advantage of several interviews with accredited ambassadors at the UN and especially with the Ambassador of Spain, Mr. Agustín Santos Maraver, who has been formally requested to meet.